Description: This is a detailed map of the west portion of the county of Indian River in the state of Florida. 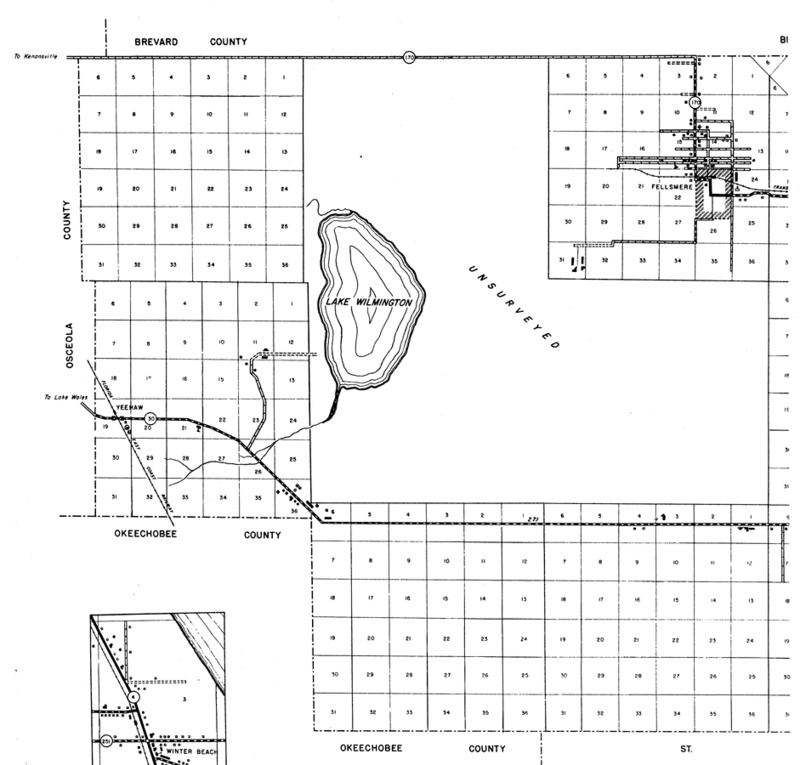 Section Township Range (STR) is shown. This map shows all of the main cities, state roads, saw mills, railroads, inland waters, farm units, dwellings other than farms, tenant houses, businesses, factories and a school. Key to Florida Highway maps.